Henry Root privately published his memoirs in 1921. He had worked for the Central and Southern Pacific Railroads for many years before he became involved in cable cars. Leland Stanford had been Governor of California in 1862-1863. Leland Stanford, Mark Hopkins, Charles Crocker, and Collis P Huntington, the Big Four, founded and controlled the Central and Southern Pacific Railroads. The Contract and Finance Company built much of the Central Pacific line east of California and its successor the Western Development Company built many other lines controlled by the Big Four. From the Henry Root, Surveyor, Engineer and Inventor, by Henry Root. As the result of Stanford, Hopkins and Crocker choosing California Street hill as a residence location for themselves, they had a special interest in the street car transportation and as the Clay Street cable line was being constructed, I was told to study up and keep informed on that subject, which I did. On June 14, 1876, a franchise was granted for a cable railroad on California Street from Kearny Street to First Avenue, to Leland Stanford, Mark Hopkins, David Porter, Isaac Wormser, P. H. Canavan, John E. Shawham, E. N. Graves, Edward B. Pond, John Taylor, R. Adolph Becker, John H. Eddington, Michael Reese, Louis Sloss, David D. Colton and Chas. Crocker and their assigns. One day, sometime in 1876, in the office at Fourth and Townsend Streets, Mr. Montague said, "Henry, come into the Governor's office with me." We went through Dan Yost's room, he was Stanford's private secretary at that time. The Governor looked up from his desk and Mr. Montague said to him; "Henry is in charge of the local work here including the company's street railroads. In the contemplated building of a road on California Street, I think it would be better for him to get his orders from you direct. It is a business that I don't know anything about and I have other matters that need all my attention, besides, I am frequently out of town when you might want something." Governor Stanford said, "All right," and from that time on I had the plan for the construction of the California Cable Railroad on my mind. However, I continued to do Central and Southern Pacific work under Mr. Montague the same as I had been doing for the past five years. One of the things I did about 1875 was to locate what is now the main line from the Oakland wharf (now called the Oakland Mole since it is filled in), to the Pinole Cut north of San Pablo along the bay shore past Point Isabel and the "Cerrito," then across the San Pablo Ranch near Stege's house by a long curve and across Wildcat and San Pablo Creeks. A. E. Guppy had been for sometime at Martinez locating the line along the bluffs of the Straits of Carquinez and my line joined on to his location at the Pinole Cut. While doing this work the party boarded for a short time at Mr. Stege's house. At this time the San Pablo grant was held by the occupants by possession as tenants in common and that protracted litigation of history going on, known as the case of Emerick vs. Alvarado which was in court about forty years. This line is near the Shellmound at Emeryville. At this time this property was owned by Joseph S. Emery, whom I met at that time. There was also a racetrack there then known as Weird's Track. The Berkeley branch now leaves the main line at about this point, but the location of that branch was made later and I did not do it. The work of acquiring the right of way for the railroad was done by John J. Haley and this was my first acquaintance with him, and that acquaintance continued up to the time of his death, March 20, 1899. For a long time he was the company's agent for obtaining franchises from the San Francisco Board of Supervisors. The franchise from the city of Oakland, of this San Pablo line, was granted to the Northern Railway Company by Ordinance No. 657 dated February 12, 1876. During the summer of 1871, Mr. Montague had sent A. E. Guppy with a party including Lewis Tashiera and W. T. Lambie as instrument men, to Lake Tahoe on the suggestion of A. W. Von Schmidt to run a trial line from there to the canon at the head of the north fork of the American River. Von Schmidt's idea being that a tunnel constructed on such a line and low enough to tap the lake could be built at the joint expense of the railroad company and the City of San Francisco to make that lake available as a source of supply for water and be used, at the same time, as the main line of the Central Pacific Railroad. About the middle of September, 1871, while working in San Francisco, I received an order from Mr. Montague to drop what I was doing and go and take charge of the party then on Bald Mountain near Soda Springs and try to rush the line to a connection with the railroad on the eastern slope of the mountain. I went by train to Tinker's Station, there got a mule and rode to Guppy's camp. Found Tashiera had gone to the valley sick, Guppy was laid up sick in camp and Lambie was so worn out he could hardly stand on his feet. However, I pitched in, but after several weeks of hard work there came a heavy storm of rain that turned to snow. We were almost out of provisions and after some days of shivering in camp we received word from Mr. Montague to abandon the work and get to the railroad the best way we could, which we did, taking the instruments and notes to Sacramento, and I returned to my job at San Francisco. After service in various places, W. T. Lambie was killed by a cave-in during the construction of a tunnel by the City of Los Angeles, January 21, 1900. He was acting as a city inspector at the time of his death. In 1873, after the extension and enlargement of Oakland wharf and the construction of new slips there, and the Alameda and Oakland Railroads had been consolidated with the Central Pacific, it was decided to abandon the Alameda Ferry at the foot of Pacific Avenue, Alameda, and to construct a connecting link between the Seventh Street Local in Oakland and the track of the Alameda Railroad on Railroad Avenue, now called Lincoln Avenue, Alameda. Said link of new road to start at Harrison Street on Seventh, curving toward the south through Harrison Square and the school lot at the southwest corner of Sixth and Alice Streets, thence along the center of Alice Street to and across the Estuary on a bridge made up of spans of about 50 feet each and a swing span in the navigable channel. Thence (as I remember it the Harrison Square curve was 12 degrees or 478 feet radius), bringing the line across the bridge on a curve to the eastward across the salt marsh land and across the high land of E. B. Mastick and joining the old track of the Alameda Road by a curve to the eastward. The Oakland city ordinance granting this franchise for the portion within the limits of that city is No. 534, approved April 21, 1873. About that time I relocated and double-tracked the Seventh Street line from Oakland Point to the place of turn out of this new Alameda branch at Harrison Street. In this new work, a fill was made between Center and Adeline Streets, where the original track was on a trestle and a reverse curve at Market Street cut out in the alignment. On the San Francisco side of the bay, I had the Southern Pacific local work to do. The lately constructed line from Potrero Avenue and Ninth Street to a connection on the line of Townsend Street, gave me much trouble at first, as the trestle had been constructed on a grade below and not conforming to the official grade of the cross streets as established by the city, and close by was the open waterway of Mission Creek with mud banks so that embankment material placed there slid into the creek. The city had also let a contract to grade the block of Potrero Avenue at our crossing to the official city grade which would bury our track several feet deep. The only remedy I could think of for this bad situation, was to close Mission Creek as an open water-way above Ninth Street and build a large sewer along its general course for drainage. I reported the situation to Mr. Montague and Colonel Gray and talked with Mr. Haley and Judge Robert Robinson of the Law Department and they agreed with me that the way out of the trouble was to get an Act of the Legislature authorizing the change and providing means of carrying it out. So Mr. Haley got instructions to carry out the preliminary part of the work. At that time the men most influential in the Mission were John Center, Claus Spreckels and Joseph Sedgeley, all large property holders along the creek. Haley got them all to join the company in a petition to the Legislature and an Act was passed for laying out a new street and constructing the sewer as asked for. I think this was in 1874. Ever since I had been on construction work, I had been studying concrete. The reading of General Gilmour's work on "Hydraulic Cement, Lime and Mortar" led in that direction and I thought the construction of this large sewer was the opportunity and the City Engineer at that time, William P. Humphreys, agreed with me at first, but when he heard the howl of the bricklayers against using anything but brick, he changed his mind and I had to be satisfied with brick, and it was so built. In 1876, soon after the franchise had been granted to Stanford and others for a cable railroad on California Street, Mr. Haley made arrangements for the interested parties to view the ground and talk matters over. It was expected that Stanford, Crocker and Hopkins would be the largest stockholders, but Stanford wanted all the prominent men living in the vicinity to be interested. P. H. Canavan, who had been a Commissioner in building the City Hall, was the most active but he told the others at the beginning that he had but little money to put in. David Porter, who lived opposite the Stanford house where a part of the Fairmont Hotel now stands, was also active in getting the scheme started but could only pay for a few shares of stock. Isaac Wormser, who lived on California Street, near Franklin Street, also took an active interest. On the day appointed, I was asked to go along, and most of the incorporators were there, but Crocker and Hopkins did not go. After looking over the ground from Kearny Street to Pierce Street, Mr. Wormser invited the whole party to his house where he set out champagne. The location for a power house was talked over and it was left with Mr. Canavan, Haley and myself to pick a location and report. At this time it seemed to be taken for granted, by all, that I was to be the constructing engineer. The Clay Street hill cable railroad from Kearny Street to Leavenworth Street had been constructed and put in operation in 1873. It was constructed mostly of wood and was considered an experiment, so a low construction cost was the controlling consideration. It was owned by four men, but they obtained some money by donations from property owners who expected to be benefited by the project. These four men were Andrew S. Hallidie, Joseph Britton, Henry L Davis and James K. Moffitt. Hallidie was president of the California Wire Works and the manufacture of wire rope suitable for cable railroads was a part of his business. He was born in Scotland and his name there was Andrew Hallidie Smith but on being naturalized in the United States, he transposed the last two names and made it Andrew Smith Hallidie. Joseph Britton was of the well-known firm of Britton and Rey, lithographers and map makers. Henry L. Davis had been Sheriff of the City and County of San Francisco and James K. Moffitt was of the well-known wholesale paper house of Blake, Moffitt & Towne. Mr. Hallidie had more to do in the mechanical line than the other partners so the work of designing was done largely at Hallidie's place and under his direction. A German draftsman named William Eppelsheimer did considerable of that work and later obtained some patents in that line. However, Hallidie claimed the principal inventions as his own. John J. Haley, who died March 20, 1899, was then an old man and one of the kind who "knew everybody." He had been in various kinds of business, among others keeping the International Hotel at Kearny and Jackson Streets and he knew all the owners of the Clay Street railroad intimately. At one time it was a saying that the San Francisco Board of Supervisors had thirteen members, twelve elected and one appointed, that one was John J. Haley. In Mr. Haley's talk with the Clay Street Railroad folks, they told him that they had broad patents covering any cable railroad that could be built, but they would join the Stanford parties in building on California Street provided a proper compensation was allowed them for the use of their patents and Mr. Haley understood from them that $40,000.00 was their idea of such a price; and further, that they would take one-half of the stock of the California Street Company, but the construction plans must be subject to their approval. On this being reported to Governor Stanford, he said, in substance, this: "If I undertake to build the California Street road, I am going to determine what plans will be used and if our lawyers say we infringe any of the patents owned by the Clay Street folks, we will pay them a fair price for them," However, no agreement was reached and the California Street Railroad Company was formed and the Clay Street Railroad folks were not in it finally. I was told to make an estimate of the cost of a road on my plan of an all concrete and metal structure, said road extending from Kearny Street to Fillmore Street with the engine house and car house at the southeast corner of Larkin and California Streets, including real estate, rolling stock and everything necessary to do business with, and I reported $350,000 as such probable cost. Charles Crocker had taken no part so far except to allow his name to be used as one of the grantees of the franchise and had assigned his interest. Mark Hopkins on hearing of the probable cost said it was too much money to get back in five cent pieces and he told me. "It would probably pay a dividend at the same time as Hotel de Hopkins," meaning his own residence then building on California and Mason Streets. However, Stanford went ahead taking the stock of his associates until, of the 5,000 shares of the corporation, he had 4,750, although I think he felt as if his associates in the Market Street Railroad should have stayed in as the experience gained would accrue to their benefit as well as his own. The Contract and Finance Company and the Western Development Company took no part in this construction. In the designing of the road structure of the California Street Railroad, I wanted a new kind of rail and I wrote to the manufacturers for a cost estimate and they had answered that they did not want to make it as it would require new rolls and the size of the proposed order did not justify the cost. When Mr. Huntington was in San Francisco the next time, I told him about it and he asked me who I wanted to make the rails. I said the "Cambria." He said, "They will roll them for me. Give me the template of the cross section and specification and I will order them when I get back to New York." He did so and the rails were shipped overland, the freight on them being $33.00 per ton. However, it was of light weight, only 36% Ibs. per yard, but good quality of steel. At the commencement of this work in 1876, I had with me as draftsman, Colonel Charles Buckley and he made the tracings I gave to Mr. Huntington. Colonel Buckley had been to Alaska in charge of the Russian-American Telegraph Expedition to build a telegraph line to connect with a cable across Bering Straits to Siberia, but the progress was slow and on the demonstrated success of the Atlantic cable, the Buckley expedition was abandoned. He had been an old friend of Mr. Haley, but was broken down in health and soon gave up his job with me. Then I got George Watriss as draftsman. He had worked on engines and steam-boat work and was a useful man. The engine house lot had been purchased and the material procured so I started a gang of men at work on the road construction in California Street just east of Larkin Street on July 5, 1877, with "old man" Wright in charge of the gang. The engines were built by Wallace W. Hanscom, the owner of the Hope Iron Works on the Potrero, from drawings made largely by Watriss ; the boilers of the locomotive type, by Hinckley, Spiers & Hayes and considerable of the machinery by William H. Birch & Company at 119 Beale Street, San Francisco. T. J. Thomas was head carpenter and model maker and my righthand man. About this time William H. Milliken, who had been shop foreman in the Central Pacific Shops at Sacramento, came to work for me as master mechanic. Capt. N. T. Smith was treasurer of the company and paid all bills. W. T. Hinchman was appointed by Governor Stanford as secretary and accountant. The entire working force was under my charge and I made most of the purchases of material. The road was open for business in April, 1878, from Kearny to Fillmore Streets. There was some delay in the opening date by hot-boxes in the engine bearings, but finally that difficulty was overcome. In fitting up the grips and car-brakes, I had the services of George W. Douglas who was the best man in the country for that work. I had known him since 1869 when he was Master Car Builder for the Omnibus Railroad Company, the first street railroad in San Francisco. His work required great skill and Douglas had that. During the spring of 1879, an extension of the road was built from Fillmore Street to a new terminal in California Street about 150 feet west of Central Avenue now called Presidio Avenue, but instead of using the ribs made of old railroad iron embodied in concrete and paved with basalt blocks and grouted with Portland cement mortar as in the original road, a square wood frame was used and a plank roadway. The reason for doing this was that the company had no debt and was paying a dividend and they wanted to pay for any additional construction out of the earnings. This extension was put into use Decoration Day, May 30, 1879. However, this trying to economize on first cost, was a mistake and after a few years, this extension was built over, similar to but not exactly like the original plan of construction. Thomas Seale, a brother of Henry Seale of Menlo Park who was a friend of Leland Stanford had worked for me as a foreman and after the road was in full operation, Stanford appointed him superintendent to operate the road and I gave most of my time to preliminary plans for the conversion of the Market Street road, then a horse-car line, and its contemplated branches, into a cable railroad system. However, I continued to do work for the California Street road for some time after. Hinchman, the secretary, and Thomas Seale, the superintendent, both friends of and appointed by Stanford, were always hostile to each other, so it made a disagreeable situation and I think this was the moving cause of Stanford selling out his controlling interest in the road to other capitalists, first Lloyd Tevis and D. O. Mills, then Charles Mayne, Robert Watt, J. B. Stetson, Antone Borel and others. The same rails I had put down in the original construction of the California Street road from Kearny Street to Fillmore Street, remained in continuous use during working hours (except about four months at the time of the earthquake of April, 1906), -- from April, 1878, to July, 1909, a period of about 31 years, and the same slot rails are now in good condition after 43 years' use. In the year 1890, the company decided to extend the road eastward to Market Street and to build a cross-town line along Hyde Street from the north end at Beach Street to Pine Street, then east two blocks on Pine Street to Jones Street and along it to Market Street; also, down O'Farrell Street to Market Street. This work was carried out at the time J. B. Stetson was president of the company. James W. Harris, who commenced work for me building the extension in April, 1879, was operating superintendent. J. C. H. Stut was mechanical engineer and designer of the machinery Howard C. Holmes was engineer of the road construction. In the operation of the right angle route to California Street in addition to the original line, it was decided best to move the location of the power and carhouse from the southeast corner of California and Larkin Streets to the southwest corner of California and Hyde Streets and to procure new engines and driving machinery. The character of the car was also changed from a closed car, coupled to an open grip car or "dummy" to a single body mounted on two, four wheel trucks, the grip being hung in one of the trucks but capable of being operated from either end. The car, so arranged, had a closed body in the center and an open section on each end. This truck arrangement was copied after the Market Street cars then in operation, but the California Street slots were arranged for a switch while the Market Street systems' slots were arranged to run always forward so had to turn around for the return trip. The cross-town line, also had several other cable lines to cross, having a superior right by reason of being on the ground first with an older franchise which made it necessary to modify the form of grip bottom used on the cross-town lines. James W. Harris has lately been elected president of the company to succeed J. Henry Meyer, the banker. From the time of the completion of the Market Street system, namely, along Valencia to the car-house at Twenty-eighth Street; the Haight Street branch, a new road from Market Street to Stanyan Street ; and the McAllister Street line from Market Street along McAllister Street to Central Avenue, thence diagonally southwesterly across the block between the engine house of that branch and the carhouse to Masonic Avenue and Fulton Street thence along Fulton Street to Stanyan Street; my mind had followed the progress of the cable railroad business in the eastern states. The building of the Hayes Street branch at a later date with its independent power and carhouse near Masonic Avenue was in charge of Fred Tucker who had worked for me on the latter part of the California Street work while the chimney and carhouse work was done by the Pacific Improvement Company men from Fourth and Townsend Streets. However, this branch was a duplication of other Market Street appliances, as it was a branch of the main system. At this time, that portion of the Market Street system from the junction of Valencia Street to Castro Street was operated by steam-dummy engines, but this part of the line and an extension of it along Castro Street to Clipper Street was rebuilt as a cable line later. The driving apparatus for the cable of this line had been provided for in the main driving machinery located at the junction of Market and Valencia Streets, there being four main cables driven from that plant; namely, one to the Ferry and return; one on Valencia Street to Twenty-eighth Street and return; one on Haight Street to Stanyan Street and return and one along Market Street curving into Castro Street and along that street to Clipper Street and return. This last named cable construction on the Market Street extension and Castro Street was in charge of L. M. Clement who took charge of the local work in San Francisco after I became engaged in looking after my patent interests in the eastern states. I worked in San Francisco after that, however, but always with the understanding that I could drop it and go at any time I might think it to be to my advantage. Loading... Loading... Loading... Loading... 48 Hyde Streets and to procure new engines and driving machinery. The character of the car was also changed from a closed car, coupled to an open grip car or " dummy" to a single body mounted on two, four wheel trucks, the grip being hung in one of the trucks but capable of being operated from either end. The car, so arranged, had a closed body in the center and an open section on each end. This truck arrangement was copied after the Market Street cars then in operation, but the California Street slots were arranged for a switch while the Market Street systems' slots were arranged to run always forward so had to turn around for the return trip. The cross-town line, also had several other cable lines to cross, having a superior right by reason of being on the ground first with an older franchise which made it necessary to modify the form of grip bottom used on the cross-town lines. James W. Harris has lately been elected president of the company to succeed J. Henry Meyer, the banker. From the time of the completion of the Market Street system, namely, along Valencia to the car-house at Twenty-eighth Street; the Haight Street branch, a new road from Market Street to Stanyan Street ; and the McAllister Street line from Market Street along McAllister Street to Central Avenue, thence diagonally southwesterly across the block between the engine house of that branch and the carhouse to Masonic Avenue and Fulton Street thence along Fulton Street to Stanyan Street; my mind had followed the progress of the cable railroad business in the eastern states. Soon after the Clay Street cable road was in operation, Henry Casebolt, who owned a controlling interest in the Sutter Street Railroad Company, a horse car line, commenced making preparations to change the Sutter Street line from horse to cable power. Casebolt, himself, was a carriage and car builder by trade and he had, in his employ, Asa E. Hovey, generally known as "Yank," as master mechanic and inventor. Casebolt was hostile to the Clay Street people and he told Hovey that they would invent a cable system of their own better than Hallidie's but he wanted their construction to be cheap in first cost so they started with this cheapness of construction as the controlling idea. Hovey invented a gripping device entirely different from Hallidie's, the operating mechanism being within the underground tube and the cable was grasped by rollers instead of fixed dies and the power was applied by the operator by a lever working through the slot into the tube instead of a screw working through a nut in the center of a hand-wheel as was done in the Hallidie grip. The tube was built of wood, switches were used instead of turn-tables at the terminals and a separate open dummy was used, the power house being located at Larkin, south of Bush Street and west of Larkin Street. This cable road along Sutter Street from Sansome to Larkin Street was put in operation in 1876 between two sections of horse-operated road of the same company and was fairly successful but had many troubles and had to make numerous changes. However, they continued to operate without paying any royalty for the Hallidie patents till all the cable patents owned by the Hallidie parties, Hovey, Casebolt and myself were acquired by the Pacific Cable Railway Company and all of the Railroad Company's operating cable railroads west of the 106th degree of longitude, west from Greenwich, took out a blanket license from that company. This was about the year 1885. BUILDING THE CABLE RAILROADS OF SAN FRANCISCO. (CONTINUED). The construction of the California Street Cable Railroad in 1877 was not an epoch making event in railroad transportation, but was in the use of concrete construction. It was the first use of a structure made up of wrought metal buried in concrete and moulded to form in place, and it was completely successful although the quality of the concrete used in that construction was not of a high grade and the cost per yard in place was low. At that time the retail price of Portland cement was $5.50 per barrel, while plenty of Rosendale or natural cement could be had for $2.75 per barrel, so I used the Portland sparingly and the mass was a mixture of Niles gravel, a little sand, Rosendale cement and lime paste equal to about 10% of the volume of neat cement. The concrete was mixed at the yard by the railroad track on Berry Street and hauled to the work along California Street in horse carts after mixing. In all plastering, grouting, setting machinery, etc., the Portland cement was used. At that time, English wet process cement was the only kind on the market here, but a few years later there was plenty of German, Belgian and French makes to be had. "Dykerhoff" brand of German cement was considered to be A-l. The dry process of the German manufacturers had greatly increased the capacity of the works. At this time and long after, but few people understood the meaning of the words "Portland cement" and even now many people do not understand its meaning. The foundation of the art of its manufacture was the English patent granted to Joseph Aspdin, a bricklayer of Leeds, No. 5022, of December 18, 1824, and as it resembled Portland stone when used, he gave it the name of Portland cement, but the cement was never manufactured in Portland. The principles set out in that patent for the manufacture of an artificial hydraulic cement by mixing exact proportions of lime and clay and burning the mixture in a kiln, then grinding the product to a powder, is now in use the world over. I do not believe there is any other single invention equal to it in importance at the present time. In 1882, at the time of the building of the Market Street Cable Railroad system, there was not enough of it made in the United States to cut any figure in the market price. That used in this country was principally of English make, London being the chief source of supply, while on June 1, 1908, for use on the Panama Canal, bids were received for furnishing 4^2 millions of barrels of American-Portland cement and the contract was awarded to the Atlas Portland Cement Company of Northhampton, Pa., at the price of $1.19 per barrel, delivered "over the rail to ship" at Hoboken, N. J., and about 5% millions of barrels were so delivered and used in the construction of the canal. The cement so furnished was about of the same quality as that I had paid $5.00 per barrel for in San Francisco in 1877 and used in the California Street Railroad construction. However, the price of foreign made Portland cement declined steadily as the manufacture of it increased in this country so that at the time of commencing the construction of the Market Street system, it was decided to use Portland cement only and to abandon the use of Rosendale to any extent. I have a memorandum of the purchase "to arrive" from Balfour, Guthrie & Company -- 3,000 barrels English Portland cement -- K. B. & S. brand, at $3.37% per barrel on January 10, 1881. This was about the average price paid for the cement used in the construction of that system during the years 1881-1882 and 1883. About 43,000 barrels were used for that purpose. But to return to the year 1877. When I had made up my mind how the California Street Cable Railroad should be built, I asked Governor Stanford this question: "In building this road, what consideration is to be given to the question of patents, as we know the Clay Street people claim to have patents covering any cable road and that the Sutter Street construction was an infringement." He said, "You are the doctor; go ahead and build the best road that can be built and if our lawyers say that you infringe the Clay Street folks' patents, we will pay for them, but if they say you did not infringe, we will not pay till we have to." I went ahead, under these instructions, not thinking of getting patents myself, as my ideas at that time were entirely defensive. But, on the completion of that road, and the starting on the Market Street work, Mr. Montagne said to me, "If I was in your place, I would patent these new devices yourself as a defensive measure." However, I was a little cautious about doing so for fear of offending the owners of the road but later on, as the patent attorney employed by the company, Milton A. Wheaton, advised me to do the same thing, I did it, but rather late as my most valuable patent was beaten in the Supreme Court of the United States on the ground that it had been in public use on the California Street road while I was in charge, for a period of more than two years, before I applied for the patent. That patent was No. 22,126 granted August 1, 1882, to Henry Root for, "Improvement in the construction of cable railways," and the title of the case was "Root vs. the Third Avenue Railroad Company" and is reported in 146 United States, page 210. At the time of this suit, which was decided November 21, 1892, by the Supreme Court of the United States, this patent, with many others owned by me, were pooled by me with those owned by the National Cable Railway Company of New York, which company then maintained an office at room 25, 140 Nassau Street, New York, so while the suit was entirely in my name against the New York Company, mine was a forty per cent interest only and the National Cable Railway Company had a sixty per cent interest. This pooling contract was made October 21, 1885, for territory east of the 106th Meridian and was the outcome of a settlement made between all of the principal owners of cable railroad patents on the Pacific Coast including the Hallidie, Sutter Street and Stanford parties. In the summer of 1883, the Hallidie folks had arranged with prominent New York capitalists and promoters to form a corporation under the laws of New York for the purpose of introducing cable railroads in the Eastern States and had retained eminent patent lawyers, including George Harding, Sr., of Philadelphia, and John E. Bennett of New York, and asserting the claim that all the cable railroads in the United States were infringers of the fundamental patents owned by them. William P. Shinn, 2 Wall Street, New York, was elected president of the National Company and James Gamble, formerly manager of the telegraph company in San Francisco, was manager. This move, and the advertising done by the National Company, was largely propaganda to bluff the railroad companies already in operation to buy licenses under the threat of suits and injunctions. However, it did not work that way. During all these times my work had been varied and had been considerably divided up. In the summer of 1881, after I had started work at the Market Street power house, Mr. Montague fitted out an engineering party for the exploration of the country north of the Union Pacific Railroad and parallel to it. I took an interest in the fitting out of the party under Warner who had worked under me in San Francisco and my nephew, George M. Talcott, went with the party. I kept in touch with their movements during the time they were out. First, they went to Pacific Springs in Wyoming, which is about north of where the city of Rock Springs now is, said Pacific Springs being on the divide between the Big Sandy and Sweetwater Rivers, the former flowing into Green River, the Colorado, and eventually into the Pacific Ocean; and the Sweetwater into the North Platte and finally reaching the Gulf of Mexico. The running of this line by the Central Pacific Company was largely in the nature of a counter bluff against the Union Pacific Company which had been running lines parallel to the Central and threatening to extend their road to the Pacific Coast. This initial point at Pacific Springs, had strategical advantages as to connections leading west. This line run by Warner's party from there eastward, was along the Sweetwater River and the Neobrara River to Fort Neobrara and ended at O'Neill, Nebraska. Then the party went to Fremont, Nebraska, and from there returned to San Francisco about November 14, 1881, where Warner worked up his notes at Fourth and Townsend Streets. My nephew, George Talcott, returned here with the party but he concluded he had rather be out in the field with a surveying party than to work here with me on construction work so the next year he went up on the Oregon line with a locating party. I have a letter written by him from the engineers' camp in the Sacramento River canon, 18 miles above the town of Redding, dated May 6, 1882. I rather favored his going as he began to show indications of failing health which continued to grow worse till he returned to his home in Vermont where he died of consumption. There was considerable delay after the completion of the California Street Cable Railroad in completing and putting in operation the cable system on Market Street. In the meantime, I was working out plans, making models, and applying for patents on my inventions used on California Street and proposed to be used on the Market Street system. There were so many preliminary questions to be settled. The Market Street lines at this time ran from the waterfront to Twenty-sixth Street; also, one line branched off at Ninth and Market Streets ran along Hayes Street to Laguna Street, along it to McAllister Street, to Fillmore Street, along it to Tyler Street (now Golden Gate Avenue), and along it to Steiner Street, and along it to O'Farrell and along O'Farrell to Divisadero Street, the terminus of that branch. These two lines were in operation as horse-car lines and were profitable. Of course it would cost more to build for cable operations and keep the horse cars running at the same time, but on the other hand, it would inconvenience the patrons and the company might lose patronage by shutting down operations for eight months or a year during the reconstruction. Finally we decided to keep the horse cars running by temporary tracks and shifting sections and the work was carried out that way. Another question was how the business should be done. On the California Street work, I had been the head of everything and doing nearly everything by force accounts, but in the Market Street Company the ownership was in four parties instead of being practically in one, Stanford, as it had been there. Charles Crocker wanted the accounts and purchasing to be done by their inside company which had been changed in name from the Western Development Company to the Pacific Improvement Company. Stanford was satisfied to do the same as before, however, Crocker had his way and on the 1st of December, 1880, the bills and payrolls for preliminary work theretofore paid by the Market Street Company of which J. L. Willcutt was secretary and N. T. Smith, treasurer, were turned over to F. S. Douty as secretary of the Pacific Improvement Company. The next question was providing the cash to pay for it. My estimate of the cost was a million and a half dollars. Through financial agents the information came that James C. Flood would take two million dollars of the bonds bearing six per cent interest at par and pay cash for them. It was decided to authorize a three million dollar issue, secured by a mortgage on all the property of the Market Street Cable Railway Company so as to have a surplus for future extensions. The bonds were not ready when the bills began to be due so the first money used was borrowed on short term notes signed by Stanford, Crocker, Hopkins and Huntington. The two million dollars in Market Street Cable Railway bonds were finally delivered to James C. Flood as soon as they were ready and the cash obtained for them by the Pacific Improvement Company. On the completion of the McAllister Street line and allowing a fair value for the real estate occupied, which the company already owned, the cost was about $1,750,000. CHAPTER 7. RAILROAD FRANCHISES AND PATENTS. On November 28, 1879, a new franchise had been granted by the Board of Supervisors to the Market Street Cable Railway Company for a term of fifty years from its date of passage, and most of the other street car companies obtained similar franchises, but by the time the bonds were ready and financial arrangements were made, about two and one-half of the fifty years the franchise had to run had already expired, so a new ordinance was passed at the request of the company on June 5, 1882, being No. 1676 with the same enacting clause "for the term of fifty years from and after the passage of this order." The effect was to extend the term of the most valuable franchise about two and one-half years without making the real purpose of the company noticeable to the public or to the other railroad companies. This ordinance was signed by John A. Russell, clerk, and M. C. Blake, Mayor, and ex-officio President of the Board of Supervisors of the City and County of San Francisco. This franchise will expire June 5, 1932. As soon as the Central Pacific owners were established in their new general office building on the hundred vara lot at the northerly corner of Fourth and Townsend Streets, they began looking for residence locations. Crocker had traveled much since the Overland route was completed having been around the world. Stanford also traveled, his trips were usually to New York and Europe. Mark Hopkins stayed in San Francisco most of the time. Huntington was a resident of New York and had been so since Theodore D. Judah died there in 1863, when Huntington assumed charge of all Central Pacific business in New York, but he made long visits to San Francisco and was in constant correspondence with his private business partner, Mark Hopkins, in the hardware business of Huntington, Hopkins & Company. The California Street Hill was the location chosen for a residence and extensive work of grading for the Stanford residence was started about 1874, on the easterly half of the block between California and Pine Streets, Powell and Mason Streets. Hopkins had also purchased the westerly half of the same block next to Mason Street. Stanford had selected S. C. Bugbee & Sons as architects of his house and Hopkins employed Wright & Saunders as his architects. I had the engineering in setting lines and grades for the work but the plans were made by the architects so I worked to their plans. Soon after, Charles Crocker purchased most of the block bounded by California, Sacramento, Taylor and Jones Streets for his residence at the corner of California and Taylor, but he started his grading work before he had secured all the frontage in that block on Sacramento Street. He finally purchased all but one 25 foot lot on Sacramento Street, this one lot was owned by Yung, the undertaker. He failed to come to any agreement with Crocker as to price so Crocker went ahead, completed his residence and then built a high fence around the Yung house and lot, which was an isolated piece out of the Crocker grounds. This controversy gained wide notoriety, the fence being known as a "spite fence." It remained there till after Crocker's death, when his heirs purchased the lot. Crocker's railroad experience in obtaining right of way for that purpose with the right to take private property without the consent of the owner by paying the appraised value, had led him to think he could do the same thing for his own personal purposes. David D. Colton, known as General Colton, had a fine residence built a few years before on the westerly half of the block bounded by California, Sacramento, Mason and Taylor, now Huntington Park. He was friendly with all the railroad people and was the social chum of Charles Crocker. He was reputed to be a millionaire and well known in San Francisco society and I believe it was largely due to Colton's influence that the railroad people located their residences where they did. About the first of the year 1875, Colton came into the railroad office at Fourth and Townsend Streets, he was elected a director of several of the railroad corporations and was generally looked up to as one of the owners in connection with Stanford, Crocker, Hopkins and Huntington and remained so up to the time of his death, October 9, 1878. After his death, however, it developed that his financial interests in the company were always small and that his influence was more one of personality than of property. His death was very sudden and has always been something of a mystery. Charles E. Green, later one of the directors of the Crocker National Bank, came to the railroad building in 1875 as private secretary to General Colton ; later, and for many years after, he held the same position for Charles Crocker and for his oldest son, Charles Frederick Crocker, then known as "Fred," later as "Colonel Fred," his title being acquired by an appointment on the staff of Governor Perkins with the rank of colonel. I have omitted to state the fact that in the party that made the first trip over the ground on California Street in 1876 by the grantees of the franchise, was E. J. Robinson, son of Robert Robinson of the Central Pacific Law Department; also, A. S. Hallidie and Joseph Britton of the Clay Street road. E. J. Robinson was named by Stanford to organize the company and he was elected its secretary, which position he held until the appointment of T. W. Hinchman, some time in 1877. In the operation of the cable railroads then running, I noticed that the stranding of the cable and not the ultimate wearing out was the great drawback to their successful operation, so I tried to study up the process of manufacture to find some way of overcoming that difficulty. In connection with my other railroad inventions I had models made by T. J. Thomas and George W. Douglas in the year 1881 of a machine for the manufacture of wire rope at one operation, from the single wires into strands and from the strands into the finished cable, the usual practice was to do these things at separate operations, and I was trying to invent a sewing attachment in the laying head of this large machine by means of a shuttle carrying a small wire to prevent any strand, if cut, from unraveling and bunching up in the cable tube. However, I never got this auxiliary attachment perfected and put in operation, but did get a patent on the main machine, that patent is No. 405744 dated June 25, 1889, granted to Henry Root for "machine for making wire rope." The application for this patent was filed May 6, 1881. Before I obtained this patent I had long contests in interference in the patent office and made a settlement with the Washburn, Moen Company, Worcester, Massachusetts, in regard to territorial rights; also purchased the patents of M. M. Zellars of Kent, Ohio, for a similar purpose, dated April 10, 1883, No. 275743, paid him $1250.00 for it. Zellars made the assignment to me in Cleveland, Ohio, October 2, 1886. On the 19th of October, 1886, I made the settlement with Washburn, Moen Company, in regard to the Wiswell patents, but this was an exchange and no money was paid. At this time I met and talked with both the elder Washburn and Philip Moen, then the president of that company. Mr. Moen expressed surprise at my age as he said he had heard of me frequently through their agents' attorneys and he expected to find me a man, at least, sixty years old. However, I had a pleasant interview with both of them. John C. Dewey, their attorney, drew the necessary papers which both parties executed there, this removed the danger of a suit for infringement in building a machine like my invention, which was my object in this transaction. A wire rope making machine following my invention was built at the expense of the Market Street Cable Railway Company and set up and operated in the rear end of the Engine House at the junction of Market and Valencia streets after all these lines were in operation. However, after making their own ropes for a couple of years, arrangements were made by which the ready-made cable could be obtained as cheap as the wire required to make it, so the machine was laid up. SALE OF CABLE RAILROAD PATENTS IN THE EASTERN STATES. From the summer of 1884 to the year 1892, the street railroad business in the eastern states, that is to say, east of the 106th degree of longitude, west from Greenwich, which is about fifty miles west of Denver, was the principal subject of my thoughts and movements. By the contract with the National Cable Railway Company, the sale of patents in that territory had been delegated to that company. Three pieces of territory had been excepted from that pooling agreement for the reason that the National had sold its rights to that territory before their contract with me, so that they had to except them from my contract; namely, the City of Chicago, in the State of Illinois, the City of Omaha, in the State of Nebraska, and the County of Allegheny, in the State of Pennsylvania, this last named territory including the City of Pittsburgh. This exception of territory was to my advantage as I was able to sell rights for the patents I owned without extra expense and the money obtained belonged entirely to me, while any rights sold in the territory covered by the pooling agreement had to be divided -- 60% to the National Company and 40% to me. The company maintained an office at 140 Nassau Street, New York, with the office of Blake, Moffitt & Towne of San Francisco, and that was the headquarters of all our business. James W. Towne was the resident partner of that firm of paper merchants. I was charged with 40% of the expenses of the National Company's office and, in theory, my part was only to give consent to their acts in making sales but as a matter of fact, I did a large part of the work of negotiating sales and the functions of the parties provided for in the contract were reversed. Charles E. Parsons, whose father was an old friend of Joseph Britton, of the Clay Street Company, was then secretary of the National Company and Henry L. Davis of San Francisco, its president. Parsons did most of the work under my direction and when a matter had been arranged, it was submitted to the San Francisco folks, that was: Hallidie, Britton, Davis and Moffitt, these four controlled the National Company at this time. Parsons' interest was only a salaried one but he took as faithful an interest in the success of the business as if it was entirely his own. However, he always looked upon them as his employers and not me (which was the true fact of the case), we always got along well together and understood each other perfectly. After the company went out of business, Parsons was employed for several years on the staff of the New York Sun and I think was so employed up to about the time of his death, which I think was about 1916. I received over $20,000.00 royalties on my own patents in the above named excepted territories where the rights of the National Company had already been sold before their contract with me, $10,000.00 of which was paid to me by Charles T. Yerkes of Chicago. For its size, Kansas City, Missouri, was the most profitable territory for us in our cable patent business, and St. Louis next. I went to Kansas City in the spring of 1886. The Kansas City Cable Railroad Company's road, leading over the bluff and on a trestle down to the railroad depot, had been started but they were having much trouble by their grip not having power enough to prevent slipping on the cable and they were very willing to accept help in modifying their appliances and we sold them a general license. Robert Gillham was the chief engineer, later he was badly injured by a grip dropping on his head. Next we sold a license to the Metropolitan Company and finally sold the territory of all the remaining part of the city for $40,000.00. The Chicago City Railroad, on State and other streets there, had been constructed and opened for business in 1882 under the management of C. B. Holmes, its president. The master mechanic of cable appliances in building that road was Asa E. Hovey, known as "Yank" of San Francisco, and who occupied the same position in the building of the Sutter Street road, for Casebolt. During one of Mr. Holmes' visits to San Francisco, he became convinced that the cable system was what they needed on his road so he hired Hovey to go to Chicago and he left here in the spring of 1881 and made his home there permanently. As soon as the Chicago company decided to build cable roads, they made some kind of an arrangement for their patents, but they followed my general plan of concrete and metal ribs as I had recommended and shown Mr. Holmes in the California Street road. I had become well acquainted with him on his visits here and I knew he had a large influence with street railroad people all over the United States and I wanted his help and influence with me in the sale of my patents in the east, so I told him I would give him a license to use all my patents on his road for the nominal consideration of $1.00. At that time my rights were principally in the several inventions as the patents had not been issued and some of them not applied for, however he was glad to get from me a blanket license for present and future inventions of mine relating to cable railroads and I was willing to give it for his future influence in my favor. However, he made out a sight draft on Chicago in my favor and asked me to endorse it over to him which I did and he took it along with him. He said, "You don't want to say you gave me this for nothing and in this way I really paid you $4000.00 and you gave it back to me." He always did whatever he could for me and I frequently stayed with him at his home on Prairie Avenue in Chicago. I made a trip from San Francisco to Chicago in April, 1882, about the time the State Street line of that road was started. I was only away from San Francisco thirteen days. The Chicago Cable railroads, like the Market Street and other cable roads in San Francisco, were built following my plan first used on California Street from Kearny to Fillmore Streets in 1877. The Market Street construction work was started early in 1881, but there was a year's delay in making final arrangements so the concrete work for the Chicago South Side road was one year ahead of the principal part of the Market Street construction. Large quantities of Portland cement were used on each job. I never knew how much was used in the Chicago work, but I believe the San Francisco work was far more economically handled than the Chicago. However, this Chicago and Kansas City concrete work greatly advanced the introduction of Portland cement concrete into all kinds of building construction. Hovey and Holmes' knowledge of concrete was derived almost entirely from my experience and information. In trying to sell our cable railroad patents to the railroad president and managers I was generally met with the statement, "Our lawyers have examined your patents and tell us they could probably be beaten in the courts, however, if by buying the rights to use them we could get the benefit of your experience, it might justify us in paying a moderate price for them." While some of them claimed to have valuable patents of their own and wanted to be taken in, we could not do that, so in such cases we generally commenced suits, but on the whole our law business was not successful. One result of those eight years of experience was to give me a wide acquaintance with the owners and managers of the street car business throughout the United States, amongst them was Tom Johnson, later Mayor of Cleveland, Ohio. WATCHING THE PROGRESS OF ELECTRIC ROADS. At the same time this cable railroad business was going on our interests required us to watch closely the progress made by the experiments with the various kinds of electric roads everywhere. I must confess that at this time I did not believe in the ultimate success of the electric roads, but knew there was a popular belief by the public that electricity was the coming motive power, they not knowing that electricity was only a means of transmitting power, generated by a steam engine at the power house, to the several cars along the road, the same as we did by the traveling cable. A large number of well informed people believed that the future electric road was to be developed out of the underground tube used by the cable roads, and that the moving cable was to be replaced by an electric conductor stationary in the said tube, and this idea was finally carried out in some cases, as on Seventh Street in Washington, D. C.
It was quite a generally accepted theory that an overhead conductor and trolley would not be permitted in the streets of large cities, and that furthermore its use would be so impeded by snow and ice of a northern winter as to make its use impractical. All of this we now know was a delusion and the broomstick trolley is the standard street car construction all over the United States. But on the other hand its cheapness of construction in first cost and operation as compared with cable roads was also a popular delusion which has cost the investors in electric roads millions of dollars. One of the first electric roads I ever saw was only five or six blocks long in Minneapolis and was a genuine trolley; that is, a little car or truck was towed along on top of the conductor wire; that was before the spring broomstick had been invented. I also saw a third rail conductor in operation in Baltimore, but it was very crude. What I consider the first electric railroad in the United States of the trolley type that has survived and is the standard of today, was the Sprague Road of Richmond, Virginia. They had great trouble at the start from burning out of motors, and other electric apparatus; some of the time being able to run but four out of eighteen cars. I think that was about 1890. During these several years I considered San Francisco as my home, but traveled around. Was in New York quite a percentage of the time and at my old home in Williston, Vermont, considerably, but always in touch with Charles E. Parsons, at the office in New York. The outcome of our suit against the Third Avenue Railroad Company of New York, on my concrete and metal tube construction patent No. 262126, dated August 1, 1882, on an application filed by me September 3, 1881, was a great disappointment to me. Melville W. Fuller, Chief Justice; Steven J. Field, John M. Har?an, Horace Gray, Samuel Blatchford, L. Q. C. L?mar, David J. Brewer, Henry B. Brown and George Shiras, Jr., Associate Justices; James H. McKinney, clerk, and John M. Wright, was marshal. All the above named members of the court are now dead and I believe all the attorneys who took part in the case are also dead, which seems to me rather remarkable and if the patent in controversy had been sustained it also would have died a natural death, as the life term of a patent is only seventeen years, the invention then becoming public property. However, by reason of this invention being patented the contest over its validity served to advertise it and inform the public as to its utility, and taken as a whole I received a fair compensation for my inventions. REORGANIZATION OF THE STREET RAILROADS IN SAN FRANCISCO, THEIR STOCKS AND BONDS. Soon after the construction of the Market Street cable railroad in San Francisco, the Omnibus and Powell Street companies converted their roads from horse to cable; they too being financed by bond issues. However they did not feel entirely confident of future dividends on the stock after paying the bond interest, so a consolidation was brought about by which they became merged in a new company, called the " Market Street Railway," which company guaranteed the payment, principal and interest, of the outstanding bonds of the constituent companies and each took stock in the new company according to an agreed scale, "quantum meruit," the guarantee of the bonds of each being taken into consideration. This was about November, 1893. The total number of shares of the new Market Street Railway Company was 187,500; of this 8580 were not issued leaving 178,920 shares to be divided among the owners of the constituent companies. To the Market Street & Fairmont Co. 4,812 "
To the City Railway Company 3,684 "
To the Potrero & Bay View Ry. Co. 2,210 "
making a total of 132,888 "
Market Street Cable Railway Company $3,000,000. Omnibus Cable Railway Co. 2,000,000. Ferry & Cliff Railroad 650,000. Park & Cliff Railroad 350,000. Park & Ocean (already guaranteed) 250,000. Second mortgage on Omnibus Cable Ry. Co. 15,000. About July, 1894, the Metropolitan Electric Road was purchased and paid for with 7,250 shares of the treasury stock of the Market Street Company. The Metropolitan commenced operating from the corner of Powell, on Eddy Street to Hyde Street; to O'Farrell Street; to Scott Street ; to Fell Street ; to Baker Street ; to Page Street; to Clayton Street; to Waller Street; to Cole Street; thence on Cole Street to the power house at Carl and Willard Streets. This road commenced operating from Powell Street to the Carl Street power house in the fall of 1892. The market value of the new Market Street Railway Company's stock on February 1, 1894, was $32.00 per share, and I think Martin & Ballard who received their stock for their Powell Street interests sold out at this price. Later all the outstanding stock was bought in by Henry E. Huntington at about $85.00 per share, and the whole capital stock sold including the Central Pacific people's interests, at $100.00 to Brown Bros., bankers, for eastern parties. Sutter Street and San Mateo electric roads were also purchased about the same time by the same parties. The ultimate purpose of the purchase at that time was to convert the entire Market Street system to trolley road, but it was necessary to obtain a modification of the franchise to do so. The notice of consolidation and amalgamation of the several companies into the Market Street Railway was dated October 14, 1893, and signed by J. L. Willcutt, secretary. The sale of the Market Street consolidated and the Sutter Street and San Mateo roads above mentioned, was about the first of the year 1902. 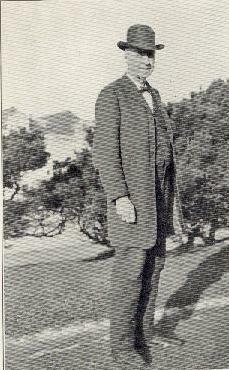 Tirey L. Ford, who had been attorney general of this state, was the agent here for the eastern purchasers. As soon as the sale had been arranged a corporation was formed under the laws of the State of New Jersey, to take the title. The bonded indebtedness of the roads so purchased, amounting to about $13,000,000, remained unpaid, but the interest was paid from the earnings of the roads as it became due. Later a California corporation was formed by the eastern parties, called "The United Railroads of San Francisco" and the title passed to it, with San Francisco men as dummy directors. The San Mateo electric road, above mentioned, was the first electric road operated in San Francisco; the franchise for it was granted to Behrend Joost and others, December 16,1890, and it was known as the Joost Road. It ran from the waterfront along Harrison and Bryant Streets to Fourteenth Street; along Fourteenth Street to Guerrero Street; along Guerrero Street to San Jos? Avenue; out San Jos? to Chenery Street, and along the old San Jos? road to the county line and the cemeteries, and was finally extended to San Bruno, Millbrae, Burlingame and San Mateo. On November 16, 1891, the holders of the franchise made affidavit that more than $50,000 had been expended on construction. The brick power house was just north of the Southern Pacific tracks about where Joost Avenue comes into the old San Jos? road about where Thirty-sixth Street would be if the numbered streets had continued. I think this was built during the year 1892, and put in operation that fall. Mr. Joost had made some easy money out of contracts under the French r?gime on the Panama Canal and had faith that electric roads were the coming thing. However, he had to sell out his interest for what he could get, taking a very serious loss, and John D. Spreckels & Brother became the owners of the road, which they largely reconstructed, and I think they were glad to sell for what the property had cost them. The Geary Street, Park and Ocean Railroad had been constructed in 1880, as a cable railroad from Kearny Street to Central Avenue, of a rather temporary structure, and from there on along Geary Street to First Avenue, and along it to Golden Gate Park, as a motor road, operated by steam dummies. The road was 5 feet gauge, the usual horse car gauge, while the Market Street system was of the standard gauge for steam roads, that is 4 feet, eight and a half inches. Soon after the cable system was built the controlling interest in the Geary Street stock was purchased by the Market Street owners, but they did not get the whole. The stock owned by Robert F. Morrow and Adam Grant was not included in the sale. I think the purpose of the purchase of the control of the Geary Street road was to make it a branch of the Market Street cable system, like the McAllister and Hayes Street branches, however it was decided to reconstruct the road with ribs and concrete, change the gauge to make it like the Market Street road and change the style of car and grip to the same as used on the Market Street system. This was done during the year 1892 ; George W. Douglas was in charge of the mechanical part of the work and A. B. Southard, the civil engineering. I acted as consulting engineer. I obtained three additional lots on First Avenue, adjoining the fifty vara lot at the northwest corner of Geary Street and First Avenue, and a large brick car house was constructed on this lot. The original power plant at the northeast corner of Buchanan and Geary Streets built in the year 1880, was continued in use; large cotton ropes being used for the connection of the engine with the driving gears instead of gears; this method being noiseless. A. W. Barron was superintendent of operation. The cars were kept running during the reconstruction and the terminal just below Kearny Street was changed from a switching arrangement to a double track turn-table, like that used on Market Street at East Street. This turn-table was opposite the Chronicle office, and M. H. de Young brought suit to have it removed, as a nuisance, but failed and it remained there as long as the road was operated by cable. At the time of the earthquake and fire, April 18, 1906, the road was damaged, principally by the expansion of rails and slot by the heat of the burning buildings along the streets ; the chimney was also cracked and the power house damaged by the quake. However this damage was repaired by the renewal of a few slot bars and rails and some repairs at the power house and the road commenced operation again in the early summer of 1906. By an oversight the management of this road did not apply for or get a new franchise for a term of fifty years, as could have been done at the time this long term franchise was granted to the other company. The term of the franchise then in use had expired. The company obtained a temporary permit to continue operation by paying the city first 10 per cent, and later 5 per cent, of its earnings. This was preceded by litigation by which the company tried to obtain a renewal of the franchise, but failed, and they were forced to abandon to the city all structures in the public streets, and they were destroyed and sold as junk when the city took possession and constructed the municipal trolley electric over the same route. The term of the franchise under which the Geary Street cable road was constructed, expired November 6, 1903, but the operation had continued under temporary arrangements from that time on. On April 19, 1912, a contract was let by the city to P. H. Mahoney, to construct the trolley municipal road from Kearny Street to Fifth Avenue, and the cable railroad was broken up by a battering ram dropped like a piledriver, and on December 28, 1912, the first electric car ran over the line and the operation of the municipal system commenced from Kearny Street westward; Mayor Rolph ran the first car over the new road. The roadbed of the Geary Street road which was destroyed to make way for the trolley was one of the best ever constructed and for sometime it was contemplated using it as an underground electric road, but all those plans were finally abandoned, the existing road destroyed and was a total loss, and the standard electric trolley street car line constructed, which was the best thing to do in view of future expansions of the municipal system. During the year 1894 the Mission Street line of the Market Street Railway Company had been reconstructed as a trolley line from the Oakland Ferry to Twenty-ninth Street, and from that time that appeared to be the coming style of construction, notwithstanding its many shortcomings. Copyright 2008-2014 by Joe Thompson. All rights reserved.